You may be wondering, if Yoshi Woolly World would have any additional Amiibo support. After all, the Yarn Yoshi Amiibo only lets you unlock a second Yoshi as a companion who’d mirror your every move. It turns out that Nintendo thought of different ways to spice up the little green dinosaur. 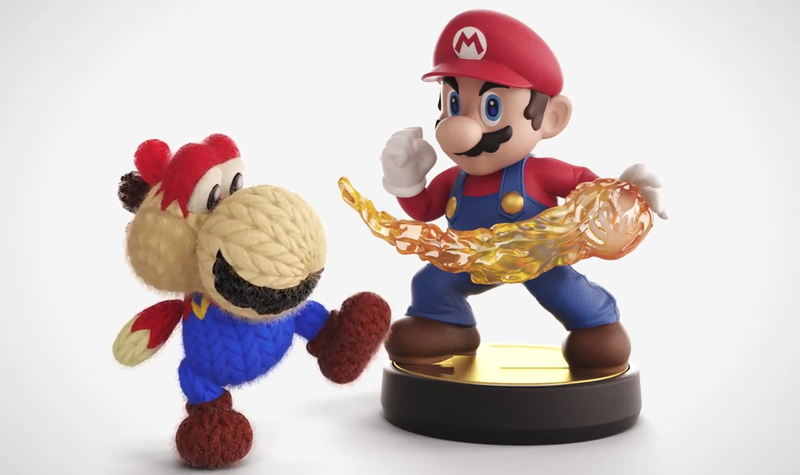 You want your Yarn Yoshi resemble Mario? Tap one of the Mario Amiibos. Maybe you want it to look like a giant fat penguin? Tap the Dedede Amiibo. Up to 40 different Amiibos are compatible to “dress” up your Yoshi!